Paint tips at bottom of page. Measurements may very slightly. .
For your convenience, the store's "metal stock" boxes are set up as close to the way the tables on this page are set up as possible. This will make it easier for you to find things in the store. you can make them left and right. 797 Cheerleader's Boots 4 pcs. Men's hats, shoes, pipes, canes & accessories. Ashtrays at bottom. Shoes, Rattles, Bottles & other accessories. 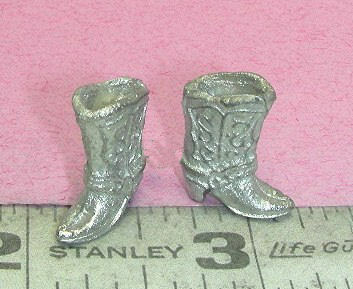 Also see Toys, Dolls on Metals3-2, Kits for Baby Furniture, Half Scale Baby on Metals3, Sports for sports equipment. 533 Baby Dish & Spoon 3 pcs. 025-O Barber w/ Comb Scissors 1pc.